Today we are going to work on using the setting to further the character development. 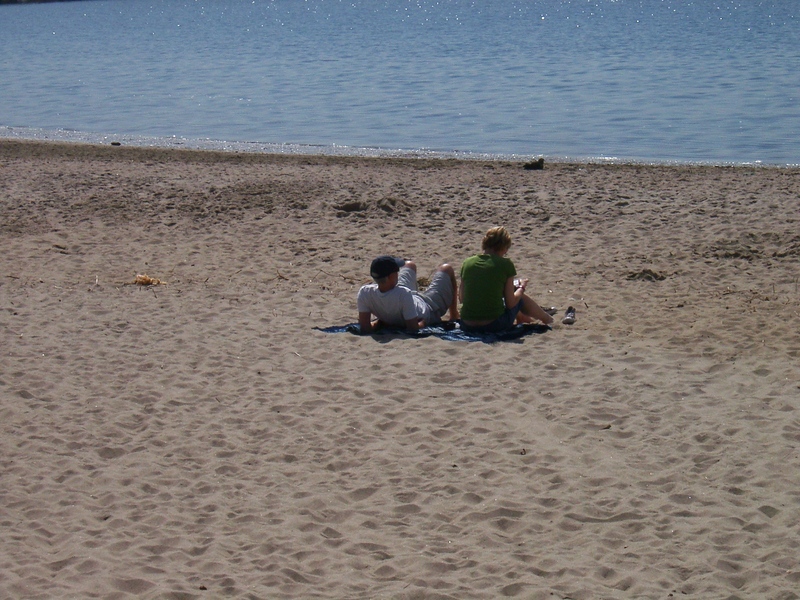 In our scene we have a young couple in midsummer on the beach. The setting can become a third character by becoming the catalyst that changes the decisions of the human characters. If you are writing a book or short story and have decided on your setting. find several pictures to spur your imagination. When I wrote my first book A Dash of Murder, I probably had ten pictures of various abandoned tuberculosis hospitals to refer to. The broken down building became yet another thing for my heroine to deal with. I knew I had done it right when one of my aunts called me to tell me she had visited someone in a hospital like that in the thirties and that my description brought it all back to her. 1. What is the date? What is the temperature? How hot is the sand? Is there a breeze? Describe the texture of the sand, is it wet or dry or rocky? How clean is the coastline? How warm is the water? How bright is the sun? What does the beach smell like? Fresh air? Hot dogs? 2. How old is the man? What is his name? What is his mood today? Why is he looking forward and not at the woman? Is he involved with this woman or are they friends or relatives? What on this beach has him quietly thinking while looking at the water? 3. How old is the woman? What is her name? Is she texting, calling someone, or answering her phone? Why is she not paying much attention to the man? What is her mood? Is she angry or just distracted? What is her relationship to the man? Is there something about this beach that has her so distracted? 4. Twist the plot-These two people will never be on this beach again together. Why?